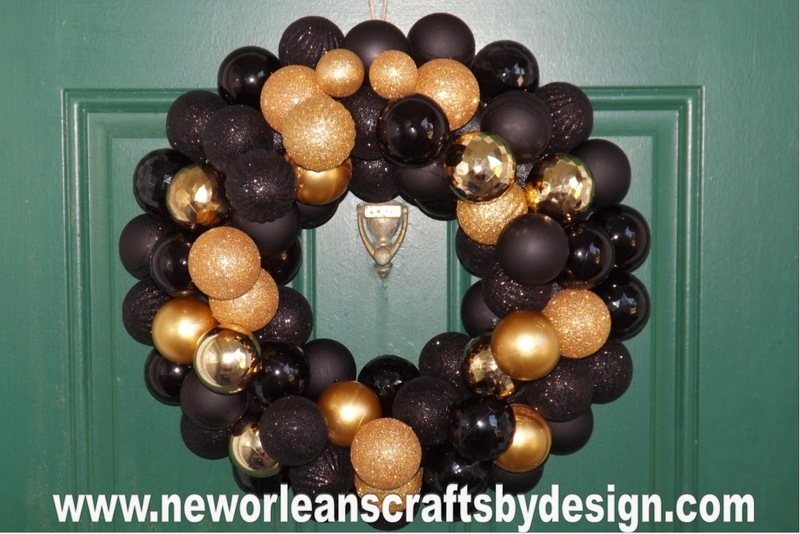 Since I live in New Orleans, this wreath was inspired by the New Orleans Saints. That being said, I do also love black and gold together. 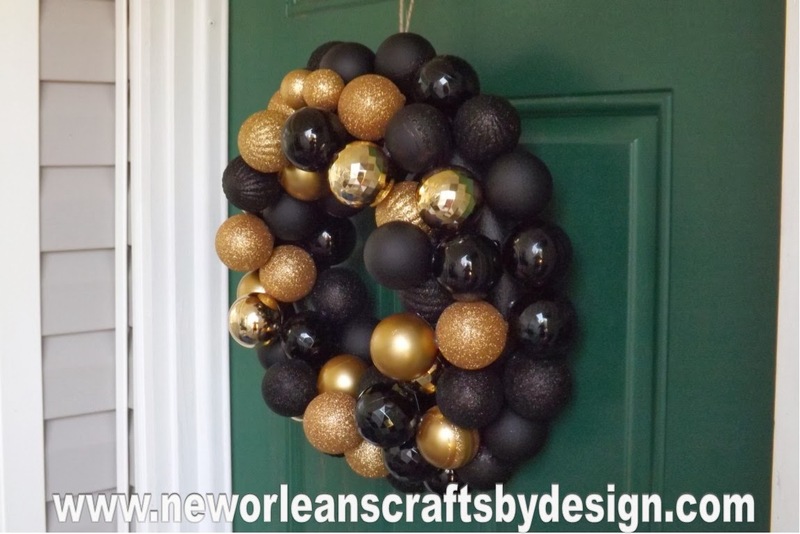 I started out with a 14" styrofoam wreath form that I spray painted black. That way, if there are any gaps, you don't see any bright white underneath. 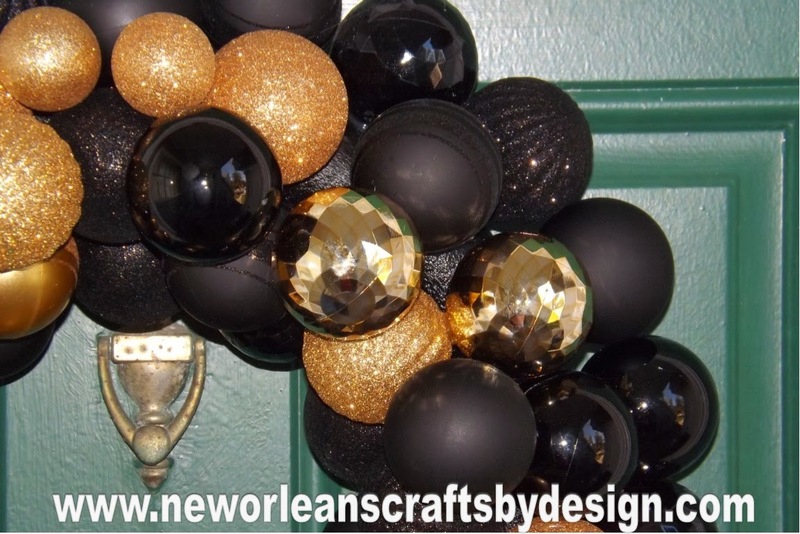 I used Black and Gold Shatter Proof Ornaments that I securely attached to the wreath form with tons of hot glue...those ornaments aren't going anywhere. Since the wreath is a little heavier than most, I used a strong hemp rope as a hanger...just to make sure it has enough support. The finished wreath measures 18" wide. 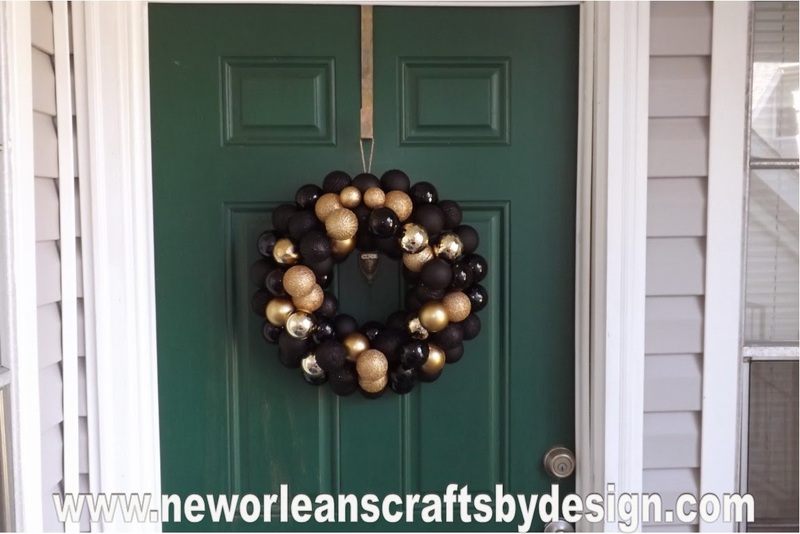 So, if you are a Who Dat Fan or just love Black and Gold together....then this is the perfect addition to your holiday decor. If you are interested in any other colors in particular just let me know and I will be happy to set up a custom order for you.